We had an overwhelming response from one and all which can be judged from the fact that all the exhibitor space was sold out weeks before the congress. Also that, we had to stop the registration process few days before the congress . We have the policy makers commitment to taking the ‘Telemedicine Beyond the Pilot Phase’ . I am working on three projects to address the issues of, ‘Infant Mortality & Maternal Mortality’ , ‘Chronic diseases’ and ‘rural health’ – using technology. Three companies have already expressed the wish to actively participate in this venture . 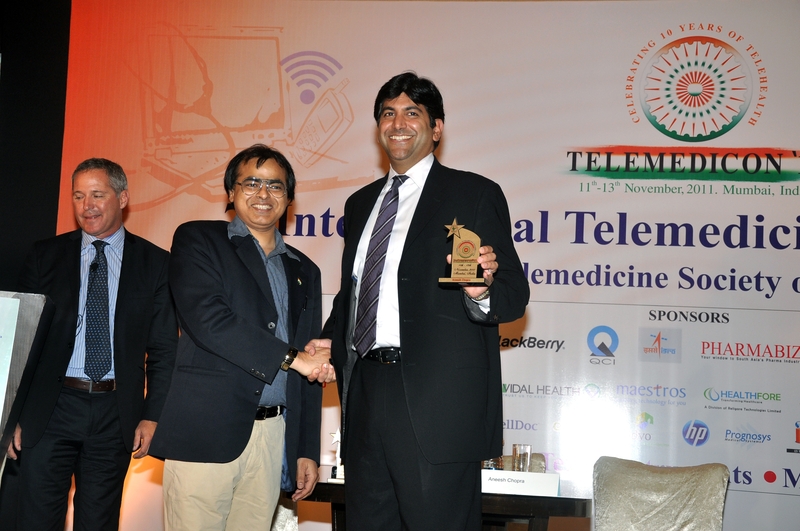 The impact of this venture would be showcased not only in the next Telemedicon , but also in all the leading healthcare conferences across the globe in 2012. If you also have a product or service in the domain , please do write back . Shri Sachin Pilot , Union Minister of State for Information Technology , Government of India ; Aneesh Chopra , Asst. to the President & USA’s CTO ; Shri Shankar Aggarwal , Addl. Secretary, DIT , Government of India ; Dr.Dale Alverson , Past President of American Telemedicine Association ; Iboun Sylla from Texas Instruments, USA ; Clint Mc Clellan , President , Continua Health Alliance ; Ashok Chandavarkar from Intel & Dr.Pramod Gaur , USA have agreed to help make this project a reality . Blackberry is already working on three Game Changing Ideas put across at this International Telemedicine Congress, and will invest to make them a reality .